PCA-Colorado received a grant from The Anschutz Foundation to support workshop programming throughout the state of Colorado. The Character Coaching program wrapped up with a celebration at the Denver Nuggets vs. Utah Jazz game last night on February 28th. Being an athlete and playing sports has affected my life by filling my "tool belt" with the wisdom that came from all of the life simulations that presented through sports. Dr. Brooke Pengel, MD, the Medical Director for Pediatric Sports Medicine, shared that the workshop was a game changer. Student-Athlete Leader Representatives from every high school in DPS gathered at the Peak Pub House for an athletics leadership summit on Friday, November 16th. PCA-Colorado, the Colorado Chapter of Positive Coaching Alliance, announced today that it has received continued support from RMHC for the third year in a row. The towel identifies a participant in the Prep League who exemplifies great sportsmanship, character or bravery. This time nearly seven years ago PCA Colorado was just getting to know the Colorado Youth Hockey landscape. Jennifer joined PCA in 2018 and currently works as the Partnership Manager covering the state of Colorado. CHSAA has recognized PCA as its official parent behavior program provider, using the very successful Dare to Chill campaign as the centerpiece to their parent education platform. For the 2nd year, Rocky Mountain Hospital for Children is proud to announce they will continue as the official pediatric healthcare partner of Positive Coaching Alliance- Colorado. Jim Thompson recently made an appearance on The Real Deal In Sports with Josh Chetwynd to discuss the growing youth sports industrial complex and the dangers it entails. We are incredibly excited that Paula Hendrickson has taken on this important position within our Colorado Board. Which one is more beneficial for athletes prior to exercise? Brooke Pengel, MD, compares the two types and sheds light on recent research related to this topic. For Lesher Middle School basketball player Cate Schelly, winning is about more than scoring points. Amy Manson tells us her story of how she continues to find and grow her passion for running, raising her kids to be ninjas–on and off the course–and keeping up her own athleticism. Young baseball pitchers are throwing too many pitches without enough rest between games. This includes players from Little League all the way through high school. Hearing the stories from our Triple-Impact Competitor Scholarship Winners, from CEO Jim Thompson & from Padraig Smith, everyone in the room understood the true meaning of sports. With Ninja-like nimbleness, PCA took its next steps in partnership with Wolfpack Ninja Tour, November 3-5 at the Budweiser Events Center in Loveland, CO.
Parents want their children to do well– turns out the best way for that to happen is counterintuitive. See a list of events where we help sports parents re-think their approach! The main life skills we teach are respect for authority, working with others, facing adversity and being coachable…being able to give and receive feedback, Jones said. There are so many high quality facilities for youth and high school sports throughout Colorado, said PCA-Colorado Chapter Executive Director Tom Puzio. A youth coach will find the joy of coaching when he/she asks the question; what’s the point? And finds the answer to be, the heart of the child. The partnership between PCA-Colorado and Wolfpack Ninja Tour is all about helping kids learn to love the journey of self-improvement. Jones has been named one of four winners for an all-expenses-paid trip to Palo Alto to participate in a panel discussion on-stage April 22 at PCA’s National Youth Sports Awards. Some 70% of U.S. children quit sports by age 13, often due to parental pressure. Once kids quit, they miss out on important life lessons and health benefits that sports offer. To be one of the recipients along with so many outstanding coaches across America is definitely a highlight of my coaching career. At Thursday night's Leadership Summit hosted by PCA Partner Dakota Ridge High School, students displayed compassion for another PCA partner, Legacy HS, after a tragic bus accident. 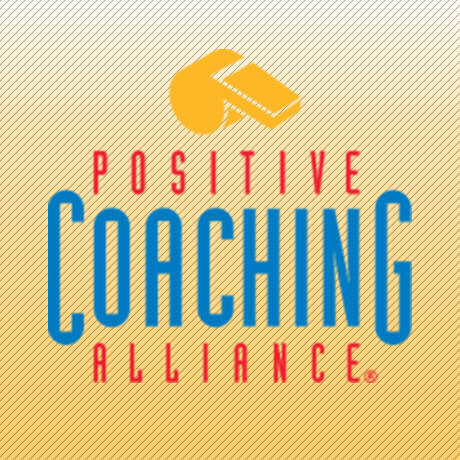 As part of a targeted effort to provide the most positive environment possible for Colorado hockey, CAHA has partnered with Positive Coaching Alliance. Rocky Mountain Hospital for Children (RMHC) announced today a partnership with PCA-Colorado to bring awareness and attention to developing "Better Athletes, Better People."